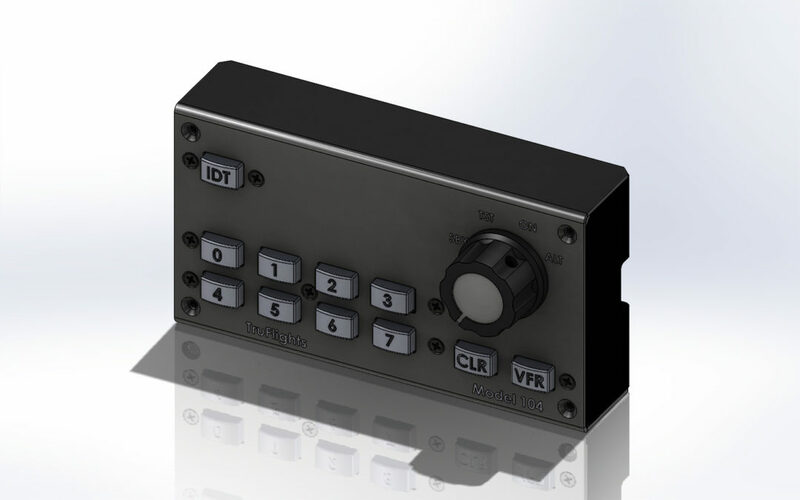 Transponder Model 104 was developed to give a companion piece to the Dual NAV/COM so that simmers had an operating panel for the old style analog transponders. The trip to Connecticut was not without challenges. Our dog jumped his fence and decided to roam the neighborhood while my daughter (our dog sitter) was at dinner, our Explorer decided to throw a major bolt which necessitated finding a garage that was open on Saturday and ended up with the purchase of a new vehicle, the air conditioner on the floor above decided to leak dripping through an electrical box in our closet and onto the shirt Brian was going to wear creating the biggest rust spot you have ever seen. Of course these distractions caused us to miss most of the first day of the show.